Leaner Tip: Substitute white flour with grated cauliflower to reduce recipe by ~400 calories per cup. To make the pizza sauce, pour 1/2 cup diced tomatoes and puree into a blender or food processor. Blend or chop for a few seconds. Set aside. 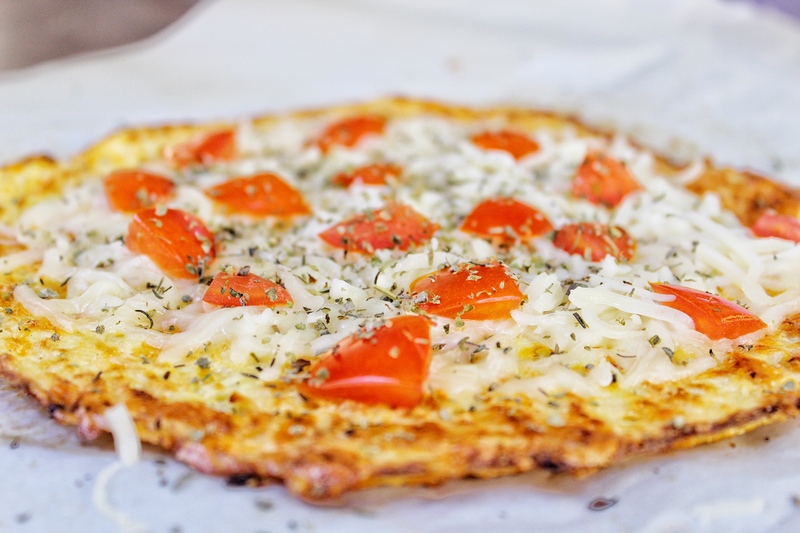 To make the pizza dough, grate the cauliflower or place into the blender (pulse for for 30-60sec) until it’s the size of a piece or rice or smaller. Squeeze out excess water from the cauliflower using a cheese cloth. Combine grated cauliflower, egg, cheese, garlic powder and basil until mixed completely. Flatten out the mixture; the thinner the crust the less chance of it being soggy. Bake for 15-20 minutes on each side for a total of 30-40 minutes. Add toppings and heat up in the oven for another 10 min.